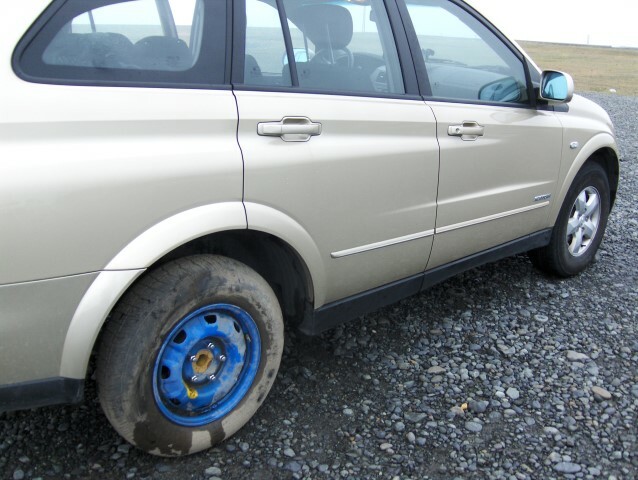 2010 Oct – Our Ssangyong Kyron got a puncture on the main road that year! 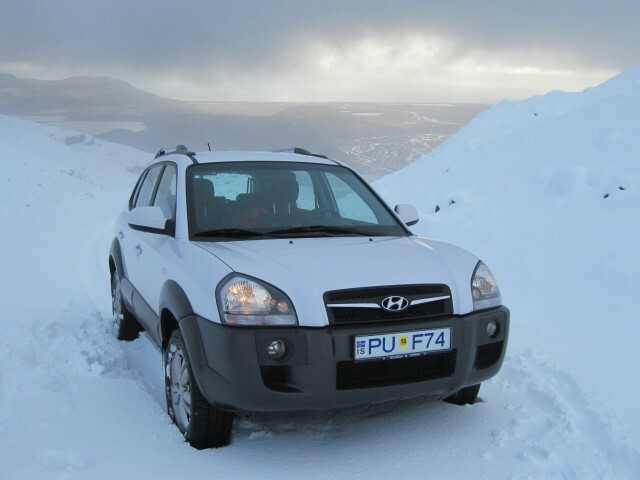 2011 – Hyundai Tuscon – Nice on the road – and OK in the dry – just don’t try soft snow! 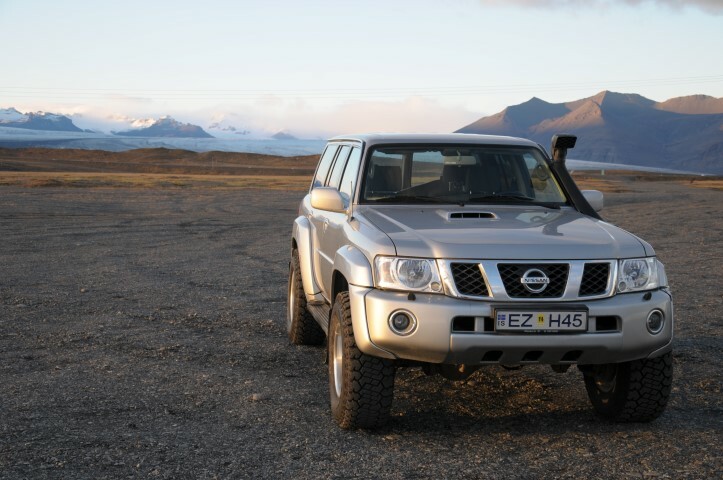 2012 Oct – Nissan Patrol (Arctic edition!) – we had to treat ourselves to this one trip – due to the threat of deep snow again. It was chunky and very capable! 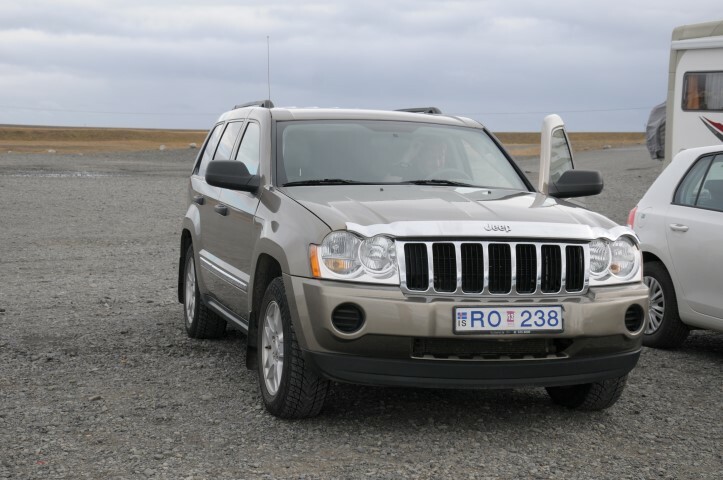 2012 Sept. – We tried the Jeep Grand Cherokee – as it had a lot of space – and was quite comfortable on the road and the rough track up the mountain. 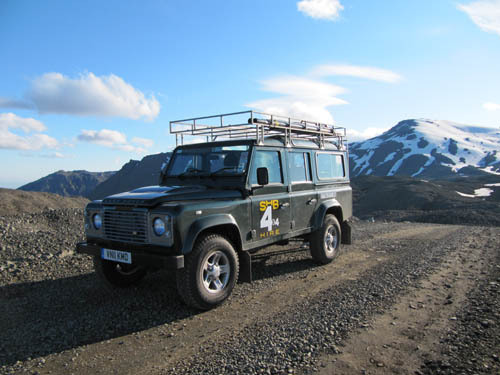 It was rather thirsty though – climbing the mountain every day with its large petrol engine! 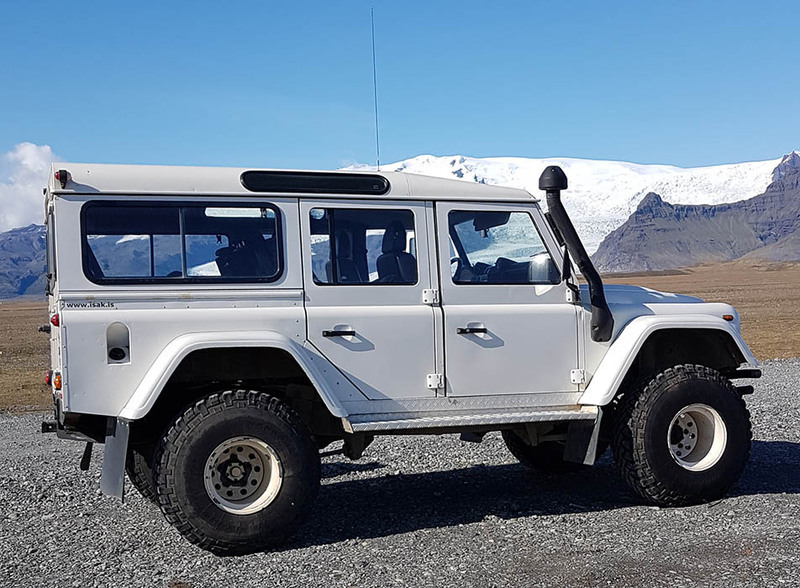 rented in the UK and shipped over to Iceland – the land rover has lots of luggage space – especially on that rack – plus you never wonder if it can cope with the mountain drive. This was in 2011 but we commonly used these for big summer trips. 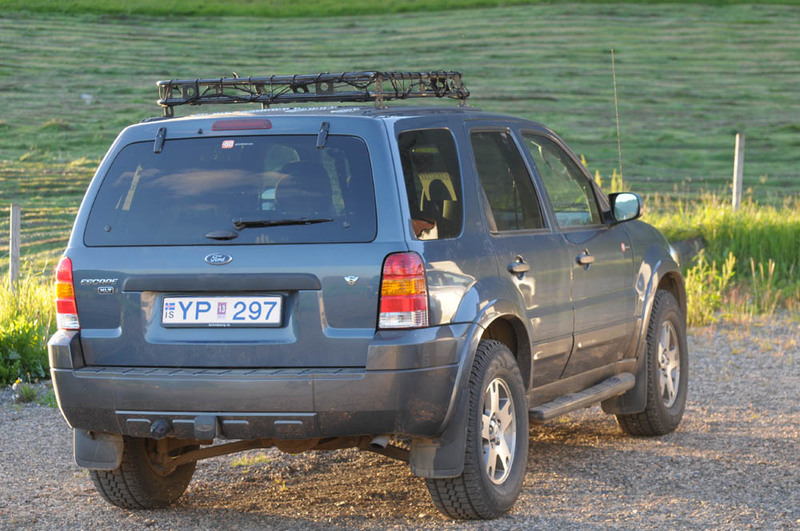 2012 Ford Escape (from GoIceland) with a very handy roof rack. 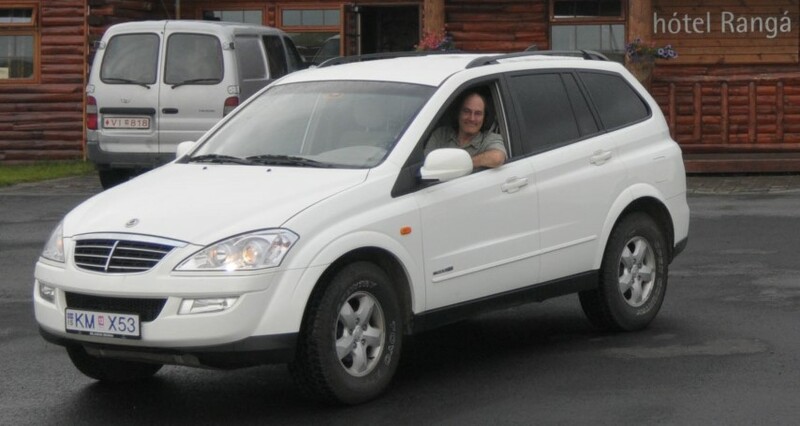 Although it is an automatic (and autos can get overheated on the mountain track) it coped OK so is one of our regulars. 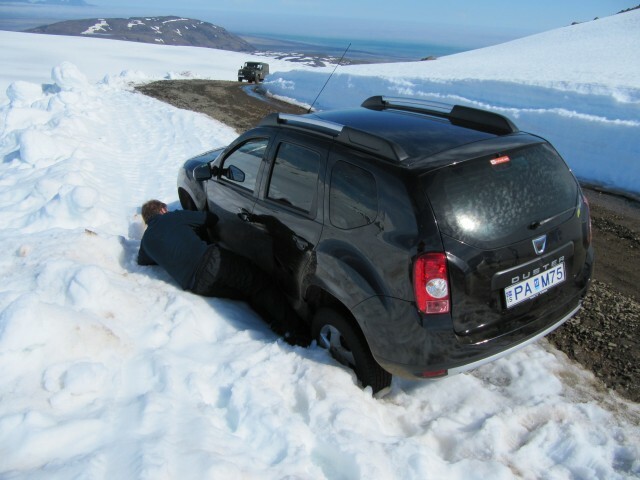 2013 June – Dacia Duster – was generally good on the track/road and used little diesel – just don’t test it on soft snow! 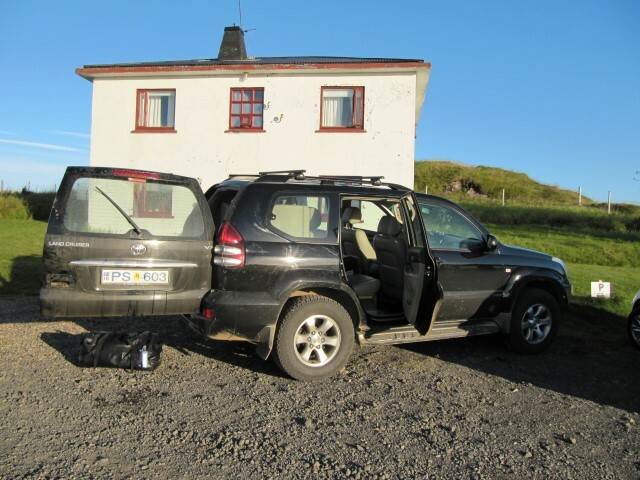 2013 – Toyota Landcruiser – one of our favourites (but more expensive to hire in Iceland) superb on the mountain track but not a lot of luggage space. 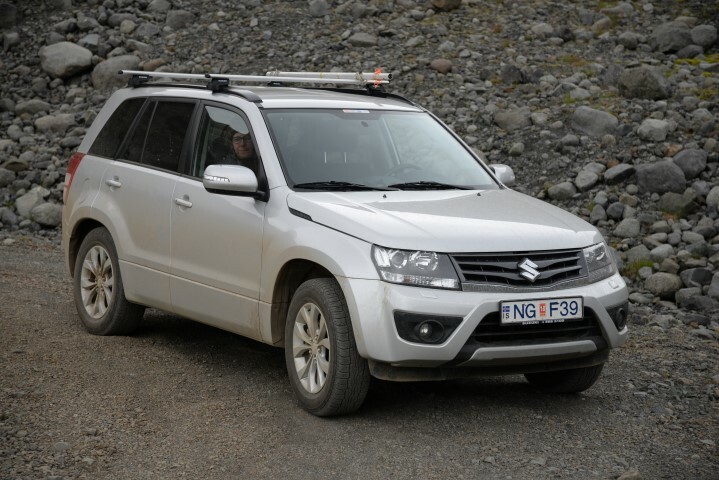 The Suzuki was brand new in 2014 – and managed fine, especially with the roof bars to strap gear to. 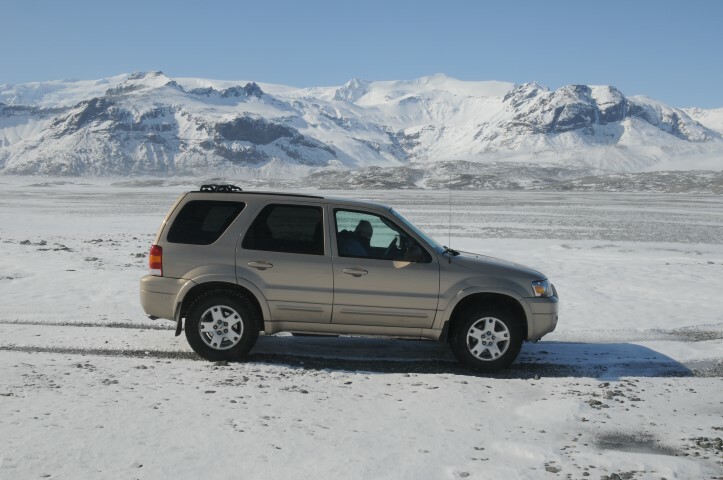 Our SHB hired Ford Ranger in 2017 – near Breiðamerkurjökull, looking towards Fjallsjokull.